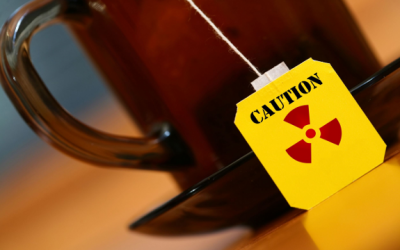 A study has recently found that some inexpensive tea bags contain concerningly-high levels of the toxic substance known as fluoride. While many health experts and governments continue to assert that fluoride is purposefully added to water supplies to protect us, some experts are now calling for fluoride levels to be stated on packages – a move that would greatly help those of us trying to reduce exposure to fluoride. The study, which analyzed inexpensive tea bags from supermarkets including Asda, Sainsbury’s and Tesco, found that drinking the tea could push a person’s fluoride intake over the ‘daily recommended level’ (there should be no recommended level for a toxic substance), and put them at a higher risk of bone and dental disease. The teas provided anywhere from 75-120% of the recommended daily intake. It is recommended that an adult does not consume more than 3-4mg of fluoride each day, but on average, a litre of inexpensive supermarket tea contained 6mg of fluoride. Dry teas contained an average of 103-839 milligrams (mg) per kilogram (kg) of fluoride. Economy blends had the highest fluoride concentrations on average, at about 580mg per kg. Green teas averaged at about 397mg per kg while pure blends contained the lowest concentrations on average of 132mg per kg. Fluoride levels in the infusions ranged from 0.43 to 8.85g per kg overall. Fluoride levels differed slightly between the 2 and 10 minute infusions and the 10 and 30 minute infusions. But there was an “extremely significant” difference between the 2 and 30 minute infusions, with infusion time increasing fluoride levels. Economy blends (Asda Smart Price, Sainsbury’s basics, Morrisons and Tesco) contained the most fluoride, with an average of 6mg per litre in a two minute infusion. Pu’er and oolong tea infusions had the lowest levels of fluoride, followed by pure blends, black blends and green blends. Published in the journal Food Research International, the study is a positive one in that it may actually be a stepping stone in the eventual labeling of fluoride on food products. While fluoride is touted as safe, the fluoride added to water supplies around the nation has actually been linked to heart disease, cancer, and is even known for reducing IQ. Research has even found fluoride to provide little or no benefit for teeth, which is one of its primary ‘purposes’. You can simply type “fluoride” in the search bar here at NaturalSociety to learn more about the dangers, but also know that there are numerous ways to force fluoride out of your body. Here are 4 things to include in your fluoride detox. Not sure on this report …before you rush out and buy PG Tips tea remember it is a Unilever company. All American crops absorb various amounts of sodium fluoride (which is RAT P0ISON) from agricultural pesticides and irrigation with fluoridated water. And, boiling these foods only increases the fluoride strength. Americans are receiving hundreds of times the government's own guidelines for fluoride poisoning. There's very little that most Americans can eat, drink or breathe that hasn't been intentionally poisoned by the fake-Jewish Khazarian Zionist banksters who've hijacked our world and continuously wage their secret War On Humanity with every conceivable covert weapon to dumb-down, sicken, confuse, fraudulently indebt & foreclose, unemploy, dispossess, impoverish, divide, conquer, enslave and exterminate Us . We must democratically decide to sterilized and permanently incarcerate these monsters, their goons and all predators. Their quadrillions of our stolen wealth must be confiscated to provide prosperity to Humanity by giving each person on earth a debit card that pays for any and all necessities. Those wanting luxury can work or create value for extra income. Can anyone say thousand years of peace? So what brands to avoid?? Oh sure, label flouride but not GMOs! That makes sense!